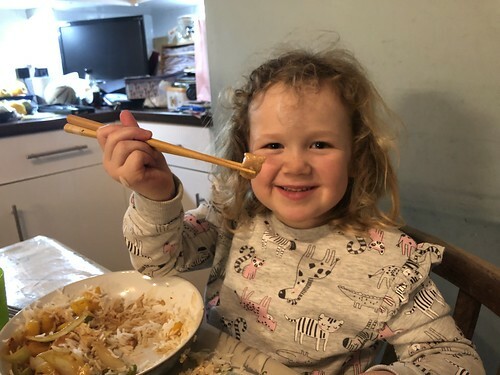 Tonight I made sweet and sour chicken for tea and we decided to give the children chopsticks to see how they got on. The Little Miss proved to be really quite adept with them and she was managing to pick up some big pieces of food. Clever girl.